What’s better than a lip balm? 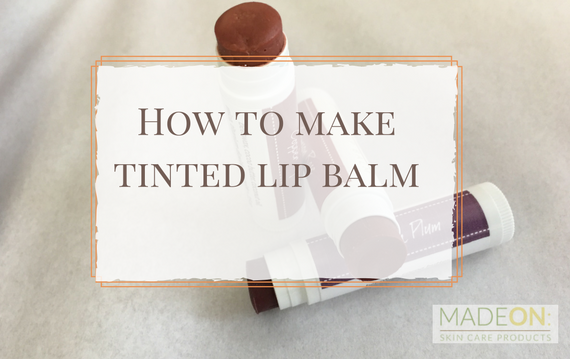 A tinted lip balm! It’s as easy as making lip balm, and then adding color. The results on your lips are perfect: enough to show color, but not so much that you look like your great-aunt Susan at Thanksgiving. I personally use cocoa butter rather than shea butter in this recipe and that’s because the chocolate scent hides the sometimes earthy natural scent of the iron oxide colorant. 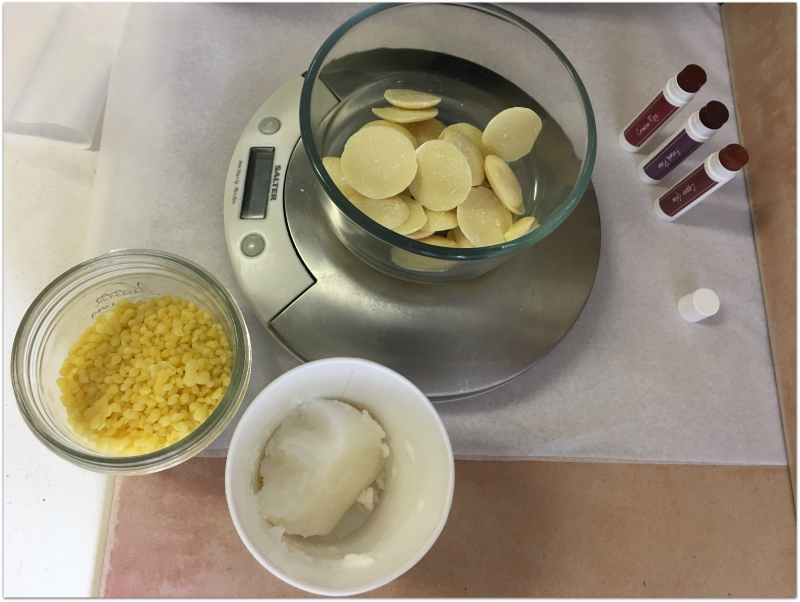 Whether you use cocoa butter or shea butter (or mango butter or avocado butter), the ratio would be the same. You can find all the ingredients and tubes, except the colorants, on our store site. Click here for the lip balm tubes. Melt completely in a double boiler or dedicated (make-up only) small crock pot. Use a medicine dropper to carefully fill each lip balm tube almost to the top. Leave a bit of room to cap off the lip balms with more lip balm mixture. Do this when the tubed lip balm is almost dry, but not quite. 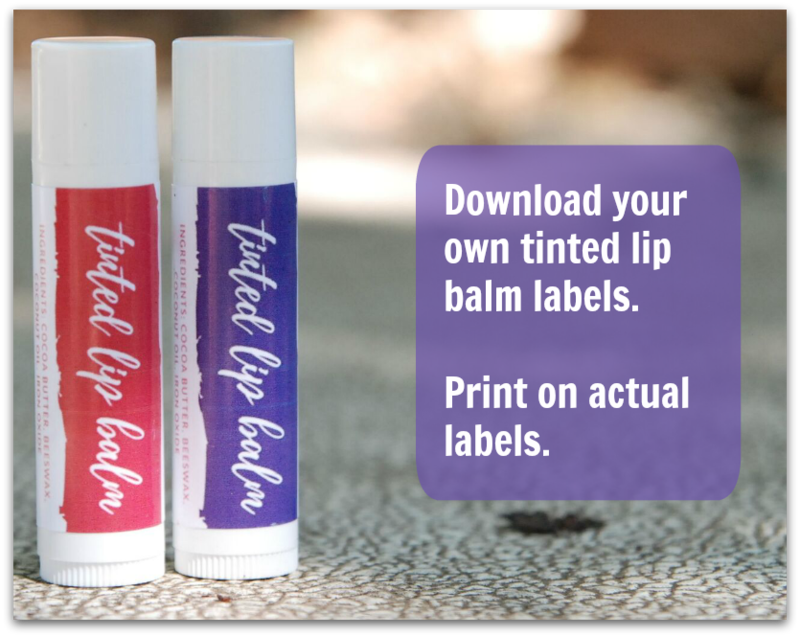 We have downloadable lip balm labels for you in two different colors (one matches our Crimson Rose tinted lip balm and the other is our French Plum). 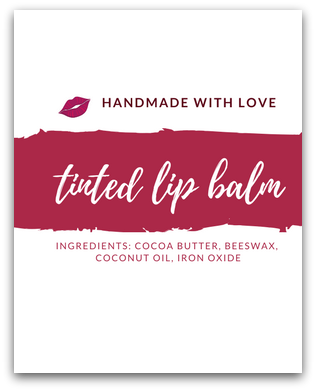 Ready to make 30 tinted lip balms in 2 colors without having to source the ingredients yourself? I caution against using Amazon as a source for purchasing pigments, unless you’re familiar with the reputation of the company. Iron oxide is my colorant of choice due to its rich hue, natural tones, and affordable price. Make sure that the particle size is small for easy blending. Use titanium dioxide (preferred) or zinc oxide to create a lighter version of your main colorant. Make sure the colorant is oil-soluble, (water-soluble-only won’t do… it must be oil-soluble). Micas won’t add color, per se, but can add some shimmer/glitter and shine as they come in hues of gold and silver. When mixed with an iron oxide, you may need to add more than the 1.5 tsp total to create a strong enough color. Otherwise, use the 1.5 tsp of iron oxide, and then add a bit of mica. Make sure the iron oxide you use is cosmetic-safe and is 100% iron oxide (if it’s not the only ingredient, that’s not necessarily bad, but you may need to adapt the amount). Check a small amount by dropping a few drops onto wax paper, allow to dry, and then apply to the lips. Ready to learn even more? I highly recommend the blog www.humblebeeandme.com, or better yet, go straight to her book using our Amazon affiliate link.